My name is David Bar, and I am the VP of a solar energy company, Grid City Electric, https://GridCitySolar.com and we are actively servicing the needs of the commercial and residential markets in Long Island and New York City. I am writing this article because we want to encourage you to reach out to us for your solar needs to eventually become customers. We are not a website which will give your information to 20 different installers all over the internet. We are a local company who will keep the details of your information and your project secure. We do all the work ourselves in house including engineering to installation. I want to share with you certain things that are important for you to know that many installers wouldn’t want you to know or that your salesman wouldn’t know to share with you. Evaluate and make sure the company behind the warranty has a significant, financial, global, and technological footprint in the electronics industry in general and in the solar field. What happens if I File a Solar Panel Warranty Claim and Win? Once a solar panel manufacturer approves a warranty claim, they are required at a minimum to replace the panels which were having issues. They will ship you a solar panel but who will install it? The installer who sold you your solar panels hypothetically sold you a solar panel from a company which was able to answer your call. GREAT! The one thing the installer did not share with you at the time of installation is: Even though you did your research on them manufacturer who had the greatest chances to answer the call, the salesman and manufacturer cannot guarantee that the solar panel replacement at the time of need will be the same dimensions, and technical characteristics as the solar panel originally purchased. The solar panels today in many cases are sized differently from those made 5 and 10 years ago. The aluminum frames could be thicker, taller, and longer, the connectors could be different, the voltages and amperages could create compatibility issues. The clamps and hardware used to secure those different panels may be different and incompatible to the mounting system you have on your roof. Aesthetically, the panels could be different colors (for those of you with panels on the front of your home, having two color panels may be a tough pill to swallow). Just because a manufacturer is offering a panel replacement warranty, it doesn’t mean the panel on your roof. It means they will give you whats available at the time in which the warranty claim is filed. Solar manufacturers do not stockpile your solar panel in their warehouse waiting for your claim. They keep making changes to the panels every year to optimize both performance and manufacturing methods. Are there companies whose panels are more consistent in shape and behavior than others? Yes, but many do make changes over time. A lot can happen in one year, let alone 25 years. Ultimately, it all comes down to your installer to solve these issues. Does your installer have the engineering team in house to go online and hunt down the equipment and fittings necessary to make that solar panel(s) fit your system (Grid City Electric does!)? Does your installer have the local installation team to go out to your home or business and collect the necessary pictures and data needed to adequately ensure replacement go smoothly (Grid City Electric does!)? Does your installer have a the brand reputation, local reputation, and customer-centric attitude which is needed to service and solve such a problem (Grid City Electric does!)? Most companies don’t want to tell you that they only cover a small piece of the solar customer service picture. They are there to sell you the system but not to service it (They often times sub-contract the work out to a local installer). 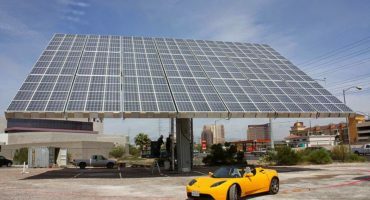 Solar sales people and companies may not have the physical business location and presence in your local market to handle a solar panel replacement. The article written above only presents one or two aspects of solar energy system warranties. 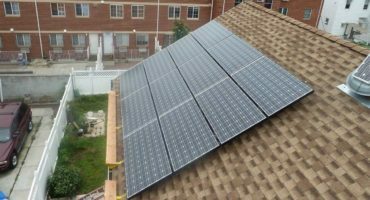 There are other sections of solar panel warranties which were not discussed in this article such as solar panel workmanship warranty, solar panel labor warranty. In addition, there is much to discuss about solar inverters and their respective warranties (and also how those warranties impact solar panel warranties). Last, there is also the mounting system warranty as well as the installer’s workmanship warranty. We will be covering these items in future articles. It has been a pleasure sharing this information with you. The goal of the article was for Grid City Electric to give you a deeper understanding of one of the hundreds of variables which go into a solar panel system investment. Since we are local, we hope that this article helps you view us as a trusted installer you can depend on for a secure solar panel investment. We serve commercial, residential, and industrial solar customers during all phases of engineering and development.